FACT or MYTH: Shingles Need Heat to Seal Correctly? You’ve probably seen our advertisements recently about repairing roofs in the wintertime. And as great as the response has been, we’ve also receive quite a bit of skeptic comments about if this can truly be done well. 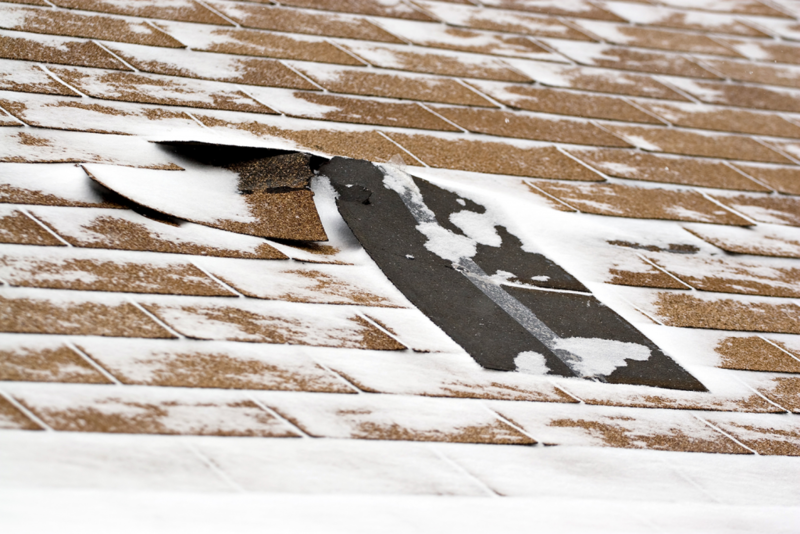 So, we’d like to set the record straight; to answer the question: Is it possible to properly repair a roof in freezing temperatures? Manufactures, while they don’t say you can’t install their shingles in the winter temps, they advise caution, and give preferred temperatures. Manufacturers make recommendations that line up with the experiences that they are subject to with the typical roofer that installs their product. But the reality is, blow-offs are generally not due to time of install, unless of course, you don’t nail it properly. Some roofers don’t nail the product properly. So, in the winter time, that becomes the big problem we are now discussing. These roofers depend heavily on the sealant strips because of this bad nailing. So they build their recommendations regarding temperature around those “on average” realities. We, on the other hand, on average, year after year, do not have these problems, because we nail our shingles right. We are a 100-year-old company that has done our roofs year after year in Buffalo winters, and really stand behind them. If someone has a blow off, almost without exception, we would be able to show you the reason why, that they nailed too high. Or they nailed it too deep. To prove our point, and put our money where our mouth is, we include coverage within the first year, for wind damaged repairs up to wind warranties of the manufacturer, which are mostly 90 and 130 mph depending on product chosen. Note, this is far beyond the level of 56 MPH which is called severe wind force, where homeowners insurance will typically cover for. So, while we do realize the evidence in most cases with other roofers points to it being a problem, we have abundant evidence of our own, that tells the better story; one with a much happier ending. Winds the last 3 months of March are blowing off 30 yr old warranty rooves in WNY. My roof was 12 yrs into it’s life. Hi Ed, thanks for reaching out. We appreciate your feedback. While on average, what you said is true for most roofers, this is likely because of the way they install the shingles. From my experience, every shingle that I see blow off, this year or any other year, is related to substandard nailing practices. Even in our case, the few times we’ve ever had a problem, it’s because someone didn’t nail as well as they should have. Other things such as product failure or sealant failure can also be a factor in the wind blow offs.